To create an environment whereby customers can view the latest hairstyles, trends and products in the hair styling industry. A communications vehicle to provide passive advertising, whilst promoting in-house store vouchers and specials. The solution needed to be engaging and dynamic whilst keeping customers informed and entertained. 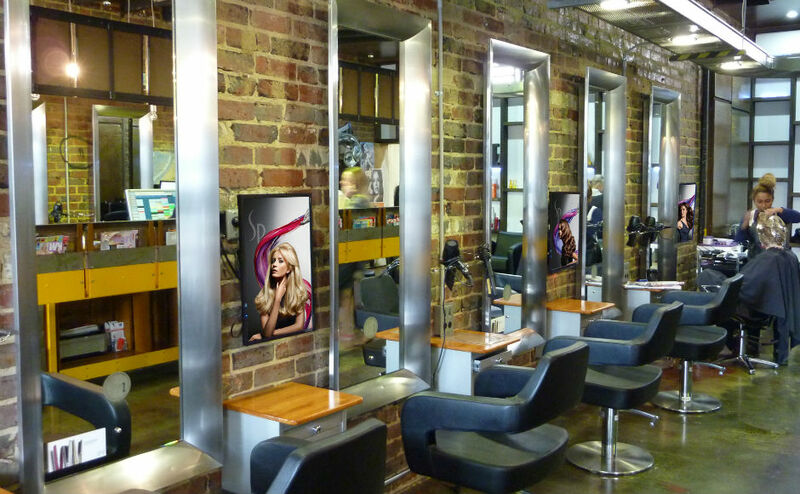 Crystal Clear Business Services supplied and installed Five x 24” portrait Digital Screens between each hair cutting station. 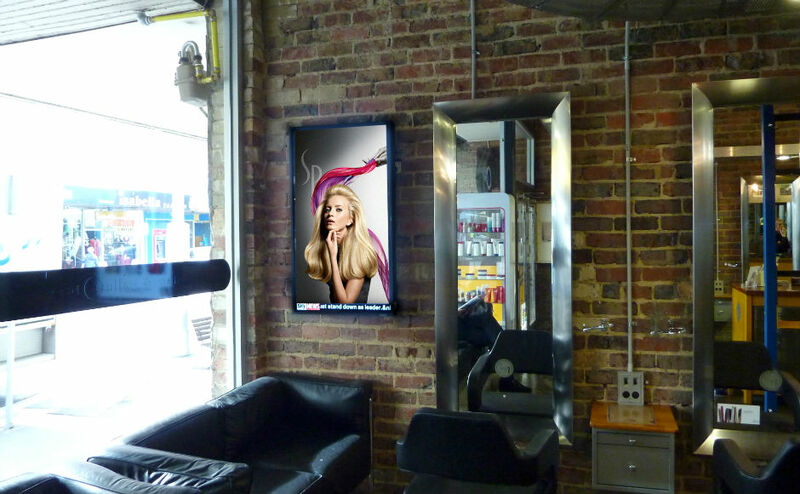 In addition a larger 46” High Bright panel located towards the front of shop strategically positioned to attract passing trade. Content has been designed and targeted to promote in-store promotions, upsell on products and inform customers on the latest style trends. RSS news feed ticker allows customers to be across the latest news headlines whilst enjoying the tailored content. 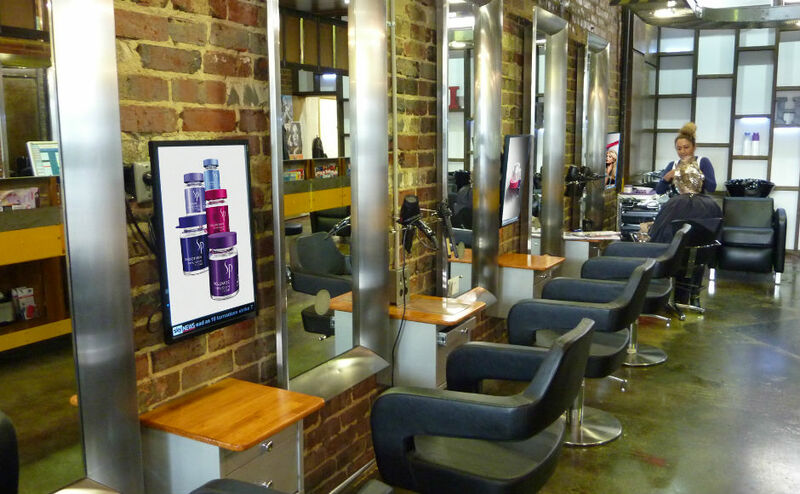 Hairmasters has seen an increase of 30% in the purchase on vouchers enjoying a stronger base of repeat business and customer loyalty since the implementation of this digital solution. The entire solution is supported and managed via Crystal Clear.